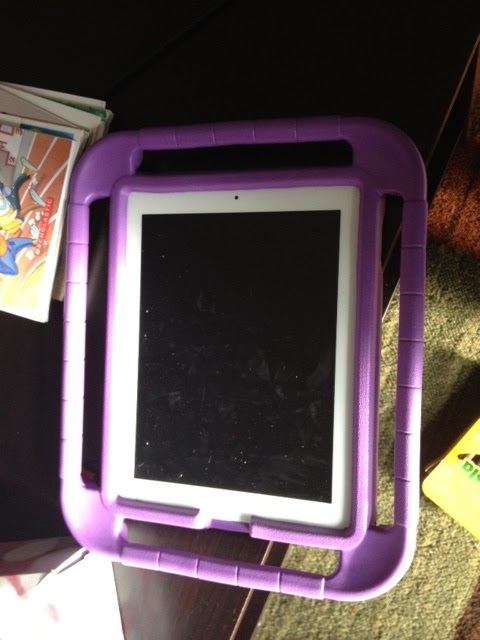 If You Give A Teacher An Ipad: Cases... a must! Little hands and a busy classroom could be a recipe for disaster, which is why I believe cases are a must. I have survived a whole school year with 2 ipads (not in cases) in tact; but I always worried as the kids moved around the room with the ipads. Our school recently purchased these cases. I love them! They are light, brightly colored and according to the video very strong (I am not willing to test it on my own ipad!). I have 2 in my room: blue and purple. I like that they are different colors so the students know which ipad has their profile on it etc.